← Uk Tour #7, Väsen and Laundry! We had the luxury of a late start today. Lobby call was at noon, which gave some of us the time to get out for runs and walks to start the day and the rain held off just long enough to allow for it. The weather did roll in though and it rained enough to keep us out of Edinburgh, where we had planned to visit for a few hours. 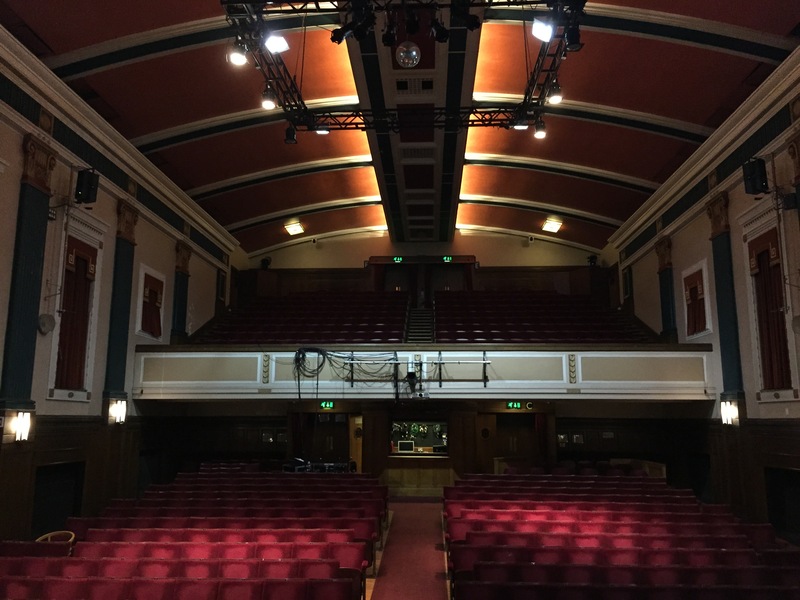 Plans scrapped, we got into Dunfermline (Where we play Carnegie Hall tonight!) a few hours early. 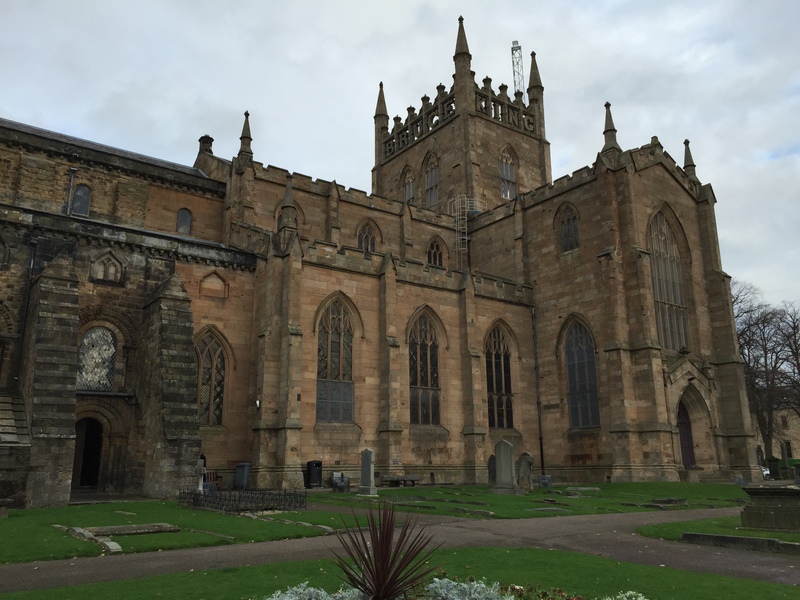 There was plenty of time to explore town, including the ancient and imposing Dunfermline Abbey. The Abbey Church is still in use, but the nave and other areas are now open primarily for tourism. Everything is older here, but this was the first time on this trip that I felt I was looking at something truly ancient. 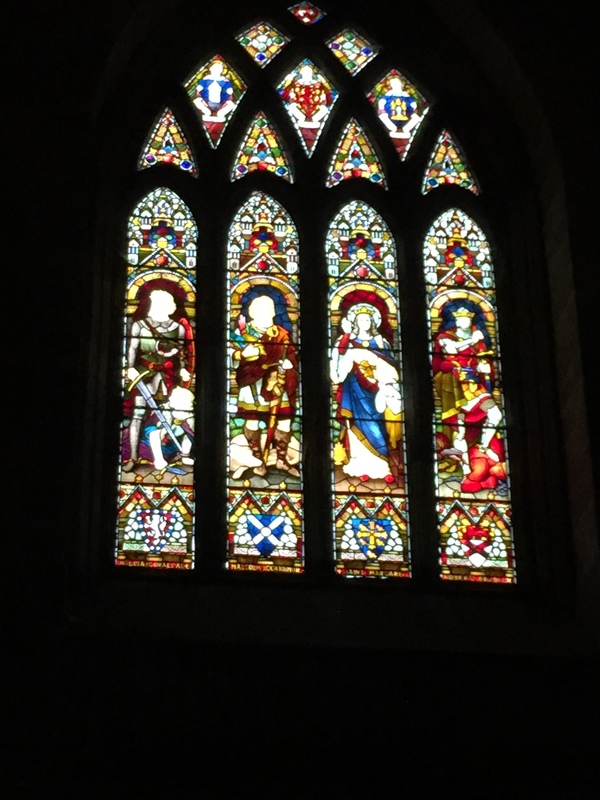 Parts of the Abbey were built in the 11th century and it was the first home of Charles I, the last Scottish-born King of England. The newest-looking gravestones I saw in the cemetery dated from the 1820s. There is a lovely park across the street from the Abbey, the larger stones steps in it have been in use so long that they have the appearance of river rocks. 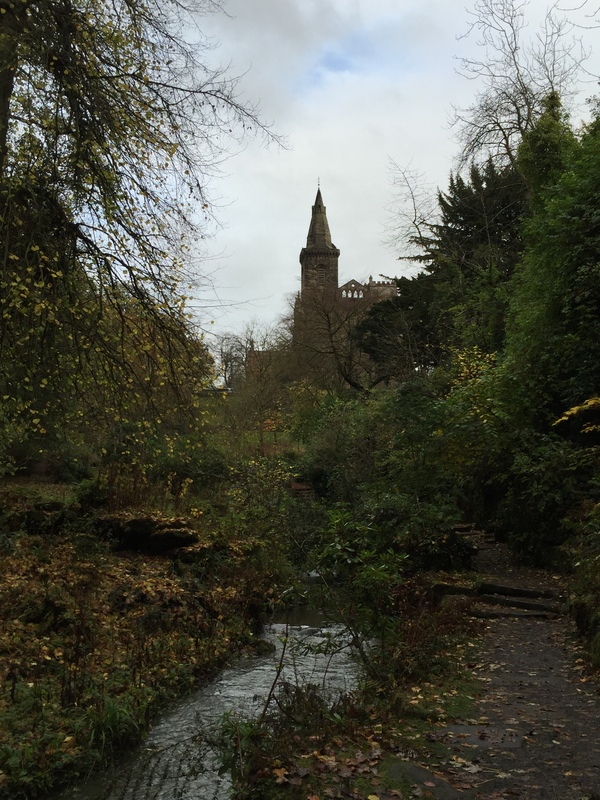 Up a short trail I came to the remains of the first Tower or Dunfermline, which is known more from ancient reputation and images than from the little that is left of it. It’s an incredible town and I can’t wait to get back one day! The gig at Carnegie was terrific, due to a late surge of ticket sales we were moved into the main hall and the crowd did more than its part to make the bigger room feel full; we closed the show with Gold Rush Goddess and the crowd clapped though the entire song! The theatre is beautiful and the crew are supremely competent. Ethan, our sound man for the night, did a wonderful job and made the sound in the room and on stage spot-on. At set break a fan gave us a list of whiskys that we need to try, we’ve had several already but clearly there is more exploration to be done! It’s such a treat to get to meet people at break and after the show, the Scots are extremely friendly and we’re having a blast making new friends!